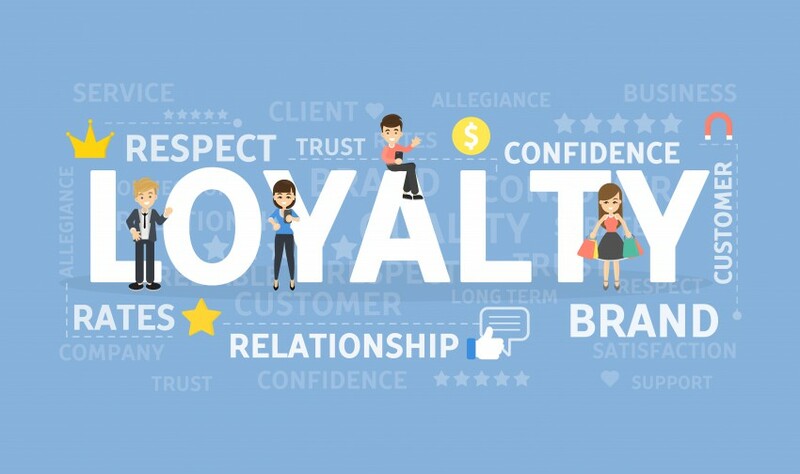 Everywhere there is talk about the importance of customer loyalty; it is the current marketing buzzword, especially in online marketing. But is it really so important? Is there any data or statistics that back up this assumption? Continue reading to learn more about the relationship between loyal customers and the company’s earnings. Usually, spend almost 50% more than first-time customers (in the holiday season). After the third purchase: 54% of them are likely to return. Multiple research proves that the cost of customer acquisition is five (5) times higher than the cost of keeping the current customer base. This means that, for example, if two businesses have the same sales numbers, the business with more repeat customers will enjoy considerably more profits. Spending – Repeat customers are more likely to spend more each time they make a purchase, as they convert more often. For example, in the US, 40% of companies’ revenue comes from returning customers, who constitute just 8% of all visitors. Another study found out that the top 1% of loyal customers spend five times more than the other 99%. Moreover, loyal customers tend to spend more at each purchase. Shoppers spend almost 70% more per order after they have been shopping for 30 months with the same business than they’ve spent on the first purchase. Conversion – conversion rates in e-commerce are relatively low across all the industries. The latest numbers show that average conversion rates are less than 4% (on mobile devices the percentage is even lower). But a repeat customer presents more than 60% probability of converting. This is a huge difference, that no business will want to miss. Likelihood to return – it seems obvious, by definition, that a repeat customer is likely to return. But it is important to note an interesting fact: The more they buy, the more they’re likely to return. As we have shown above, after the third purchase, a customer is twice more likely to return than after the first one. This means that the more times the customers come back, the higher their potential value for the business. Given these data, businesses should encourage existing customers to return for further purchases. (The question is how to coax them). Word of mouth advertising – repeat customers are valuable not only for direct shopping and spending but also as advertisers. Loyal customers are far more likely to share their positive experience on social media, thus creating a word-of-mouth advertising arena, which is considered the best kind of advertising. Developing customer loyalty means emphasizing the long term (customer satisfaction) over the short term (sales). Customer loyalty, through repeat purchases, lowers costs and referrals by satisfied customers, increases business profits. It is of course very important to acquire new customers. The trick is to turn them too into loyal customers.